How are you doing? I hope life is treating you well? Today’s post is going to be short and sweet, all about a lip balm I love. 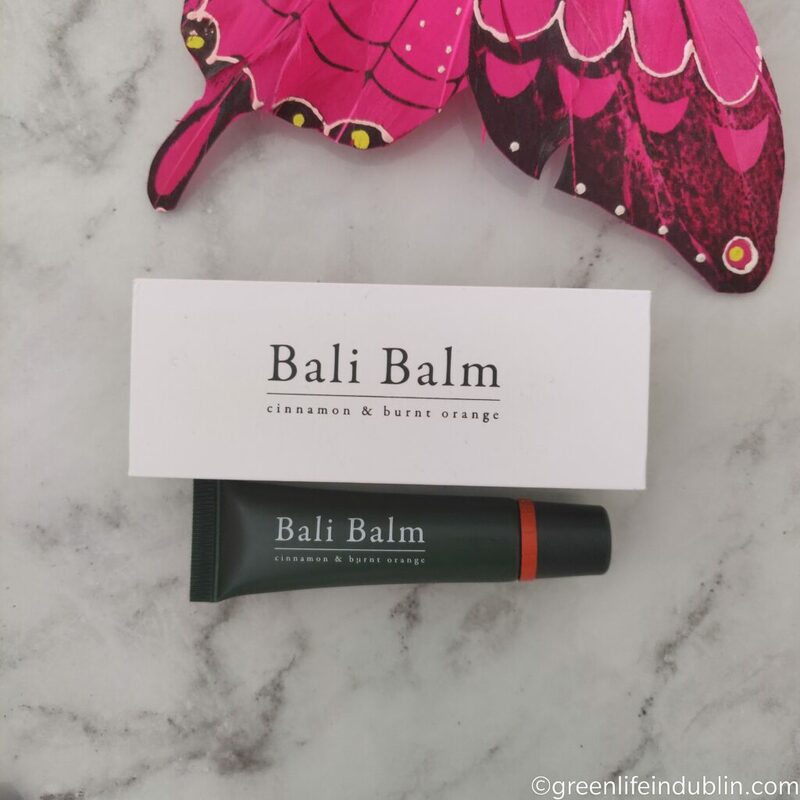 Please step forward, Bali Balms*! If you follow me for some time or any time at all, you know I am a proper lip balm addict! As you could imagine, I have tested dozens and dozens of them, but it does not mean I like every single one of them – far from it! It is one area where it takes a lot to impress me, formulating a good lip balm is much harder than you think. Most brands just melt some oils, waxes and butters together, and while it is a correct formula for a lip balm, it does not mean it is any good. What I want from my lip balm is for it to have all natural ingredients (obviously! ), be nourishing and also protecting my lips from elements, and perhaps most important factor for me is that it should STAY on the lips for good amount of time, and that is exactly where most of the brands fail. I don’t want to reapply my lip balm every five minutes, thank you very much! So long story short, there are just a handful of lip balms I consider good ones, and it is even tougher for them to end up in my Holy Grail Products list. How are all of you, I hope you are well? 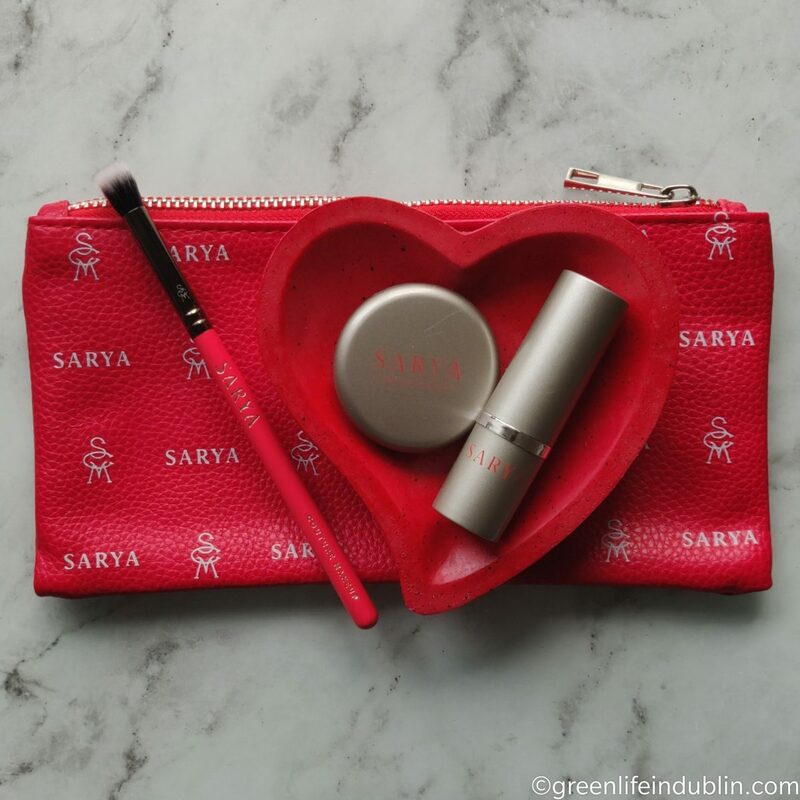 I had my eye on Sarya Couture MakeUp as soon as the brand appeared in Love Lula – it is a couture cosmetics line created with the finest natural and organic ingredients, so naturally it called my name. Imagine my delight when Love Lula asked me if I’d like to try some of the products – are you guys kidding me, yes please! After a little while of testing the products, here I am with my first impressions review and a make up look. Want to know more? You are in the right place! How are all of you, I hope you are well? Now that the weather is getting warmer by day, I hope everybody feels alright? 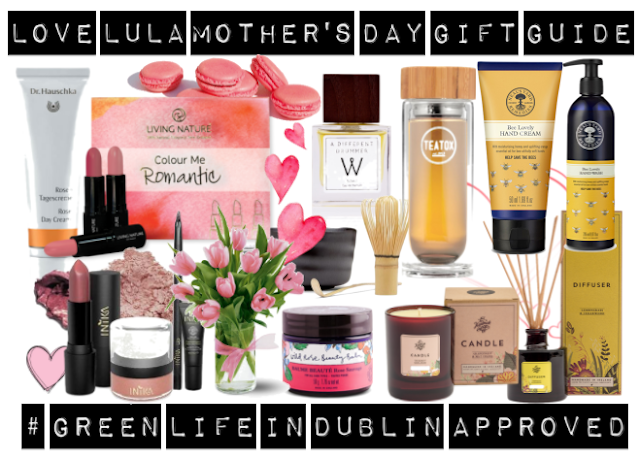 If you follow me for some time, you might know I am one lucky duck also known as a part of Love Lula Accredited Bloggers, and each month we have an opportunity to choose products we want to review. Up until now I was working in a manner where I was taking my time testing the products thoroughly before posting reviews, and maybe taking my time to collect them one by one in a couple of months if that happened to be more pricy products. Which means my reviews didn’t always match what I picked that particular month. From now on Love Lula wants us to post about our picks in the same month, which means I have to chance the way I blog, but by no means the reviews will cease or be any less throughout. I simply love the feedback from you guys where I am often told my reviews are the best in a way that I touch on every aspect possible and no one does more detailed reviews than me. Why, thank you, this is music to my ears and exact driving force for my blog. Thanks for making my day guys! I had a good talk with myself on the ways I will make this work, and I came up with the solution – I will do a blog post on the products I picked each month , the reasons I picked said products & my first impressions of them, and I will update you with more detailed feedback at the end of the next month’s post. Let me be more clear – for this month I picked up A B & C products, so I will talk about them in first impressions style post today, and I will give you my feedback in more detail in next month, right after I will talk about next month’s picks D, E & F.
Tabitha is the talk of the town at the moment because her products are featured in one of the most popular beauty boxes, so you will hear about them all over the media really soon. I have two other products of hers and I will review the brand in great detail very soon. This dry shampoo is something I really wanted to try out for quite some time, so I told myself the time is now and went for the full size. I was not sure which size to go for, as the brand does a 15gr size, but as that one retails for 19£ and the full size of 75gr is 29£ – I figured it is the better value, so I went in – let’s hope it turns out to be amazing! As you can see, this has lots of nice organic ingredients like nettle leaf powder and acai fruit powder, so I am excited to see if that will work better than my simple DIY dry shampoos I have done in the past. The push for getting this product was a positive review of another equally honest blogger, who loved it for helping eczema on her scalp. Up until then the product has been on my radar, but I have had concerns on alcohol being second ingredient in the ingredients list, as well as fragrance. Surely that would dry the scalp massively? Well, I guess I won’t know unless I try, so that’s why I decided to go for it. 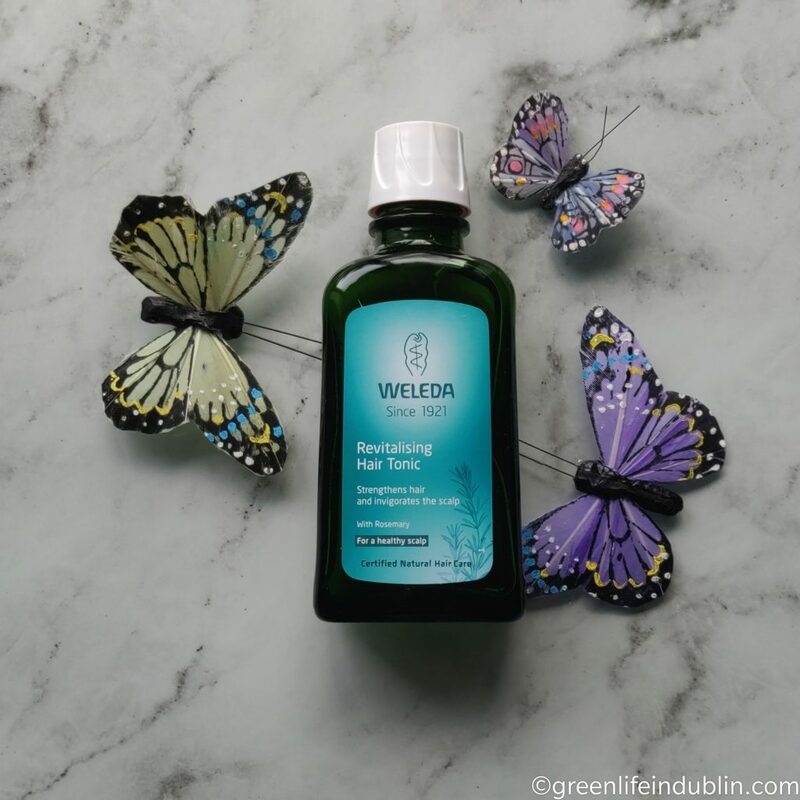 Fun trivia fact about it – did you know that is is actually Weleda’s oldest product and remains unchanged since 1921? I also love the fact that it is not an oil, therefore does not require hair to be washed after using it. It is more like rub-in-and-go product. Sounds perfect for me? Please let me know your experience if you use this product? Water (Aqua), Alcohol, Cochlearia Armoracia (Horseradish) Extract, Sedum Acre Extract, Rosmarinus Officinalis (Rosemary) Leaf Oil, Potassium Carbonate, Fragrance (Parfum)*, Limonene*, Linalool*, Geraniol*. *from natural essential oils. 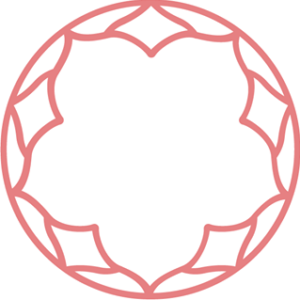 I spotted this brand as soon as they appeared in Love Lula – and almost immediately all of the products went into my Pinterest Wishlist You see, this brand uses gem and flower essences in their products – any brand who does that, has my instant attention. 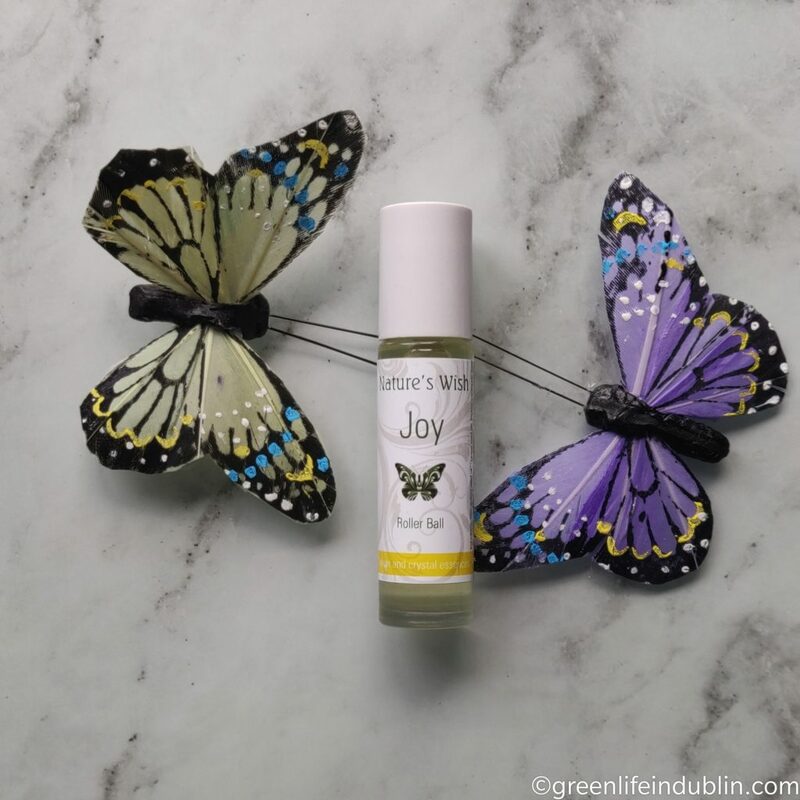 I debated which smell I should go for first, and I chose Joy in a rollerball format – it has FLOWER ESSENCES: The Joy blend of Angel’s Trumpet, Willow and Sweet Pea. CRYSTAL ESSENCES: Rose Quartz. ESSENTIAL OILS: Bergamot, Lemon, Rose Geranium, Roman Chamomile and Ylang Ylang. This is the first but not the last time you hear me talking about the brand – I want to try EVERYTHING! I am so so curious about the rest of the products and fragrances – can someone invent “scratch ‘n’ sniff” for blogs and social media? All natural, pretty please? Now, your turn! What did you guys picked up at Love Lula recently? Please let me know, I always want to know what other people are getting 🙂 If you want to get something, here’s a little something that might be of interest for you – you get a FREE selection box worth 40£ when you spend 50£+ at Love Lula! Amazing or what? P.s. 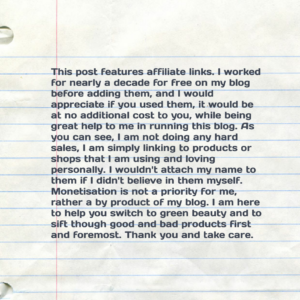 Please make my day and subscribe & share this or any of my blog posts on social media – it helps to get the green beauty word out and for that I Thank You! 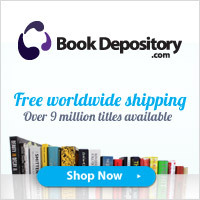 *Ingredients & prices correct at the time of publishing. *See my last blog with 400+ posts here. I do realize I am way late with this post, I assure you I had my best intentions to post it on time last December, but time got away from me juggling all the normal work-family-life-blogging duties coupled with intense testing slash judging for The Beauty Shortlist Awards 2019 and Holiday preparations. So I posted this post on my IG page here and promised You to come back a month later, not only with my first impressions, but with a more well rounded review. Here I am, ready to give my two cents on all the products and the box in overall. Ready to get started? I am so ready. Firstly, let me just say that Love Lula is the only subscription box I am getting, and I am really happy with it. 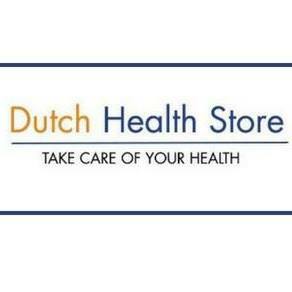 I’ve been getting it for around a year and a half maybe, and I have to say they do a very good job at including a good variety of products, apart of a few tiny missteps of too many scrubs or face oils in a row, other products were a delight to discover. I have to say I am looking forward to each new month in anticipation of what’s to come – Christmas or Birthday present for yourself each month, anyone? They ship worldwide, and the price is 14.95£ monthly recurring for UK customers, and for us international gals there are two options of three months (52.50£) or a year (21£) including post and packaging. There is also an option to try one box, both for UK and international customers. 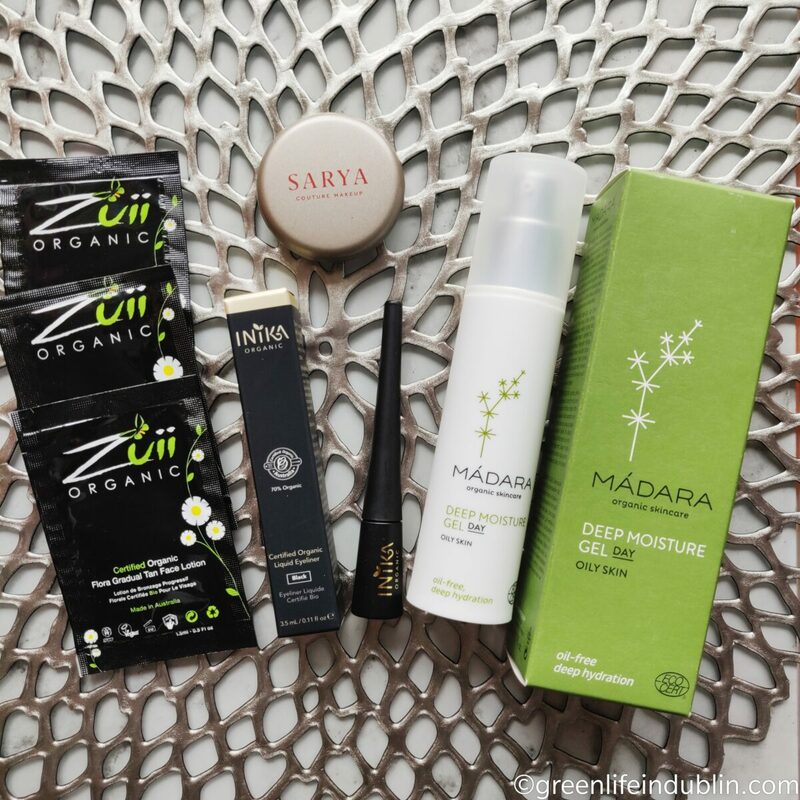 Green beauty boxes are a great way to discover new items you might have missed otherwise, and I love that anything coming from LoveLula is cruelty free and guaranteed not to have any toxic ingredients – they have very strict criteria for any product they accept, and that is taking the guesswork off your shoulders. Here’s what we got in the last box of 2018. Oh, just a little note before we get started – this in an international version of the box, the UK version had two Glossworks nail polishes and Hairy Jane hair perfume – very jel I couldn’t get my paws on them, as the polishes would have come so handy during the Christmas time, and I’ve been dying to try that Hairy Jane hair perfume – sooo curious about the smell everyone keeps raving about. Can someone invent a scratch and sniff feature for blogs and social media please? Not to worry though, as the replacements we got are equally fabulous if not more so – I am well chuffed with mine! I mean natural perfumes in those cutest teeny tiny roller bottles, do I need to say more? 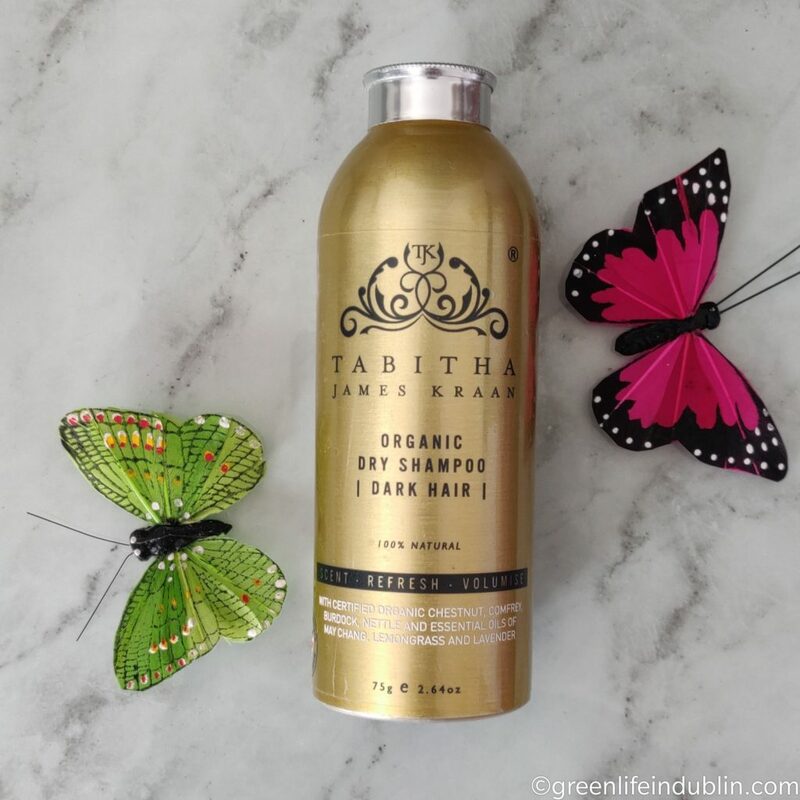 I was delighted to see another product by Kathleen Natural, as I really enjoyed what I have tried from them so far – so much that a few products ended up in my 2018 Best Products list. I was impressed with this bubble bath and shower gel thingy too – it works wonderfully both ways, and the natural scents of roses and oranges does give you an instant feeling of joy! It cleanses, hydrates, and balances the skin without dry it out. Suitable for all skin types including sensitive skins. 100% Natural. Vegan-friendly. AROMA Top Note: Orange Essential Oil Uplifting orange oil has a sweet, fruity scent and is expressed from the rind of sun-ripened oranges. Naturally revitalizing and uplifting, sweet orange is a staple aromatherapy oil for creating a bright, uplifting, and invigorating ambience. 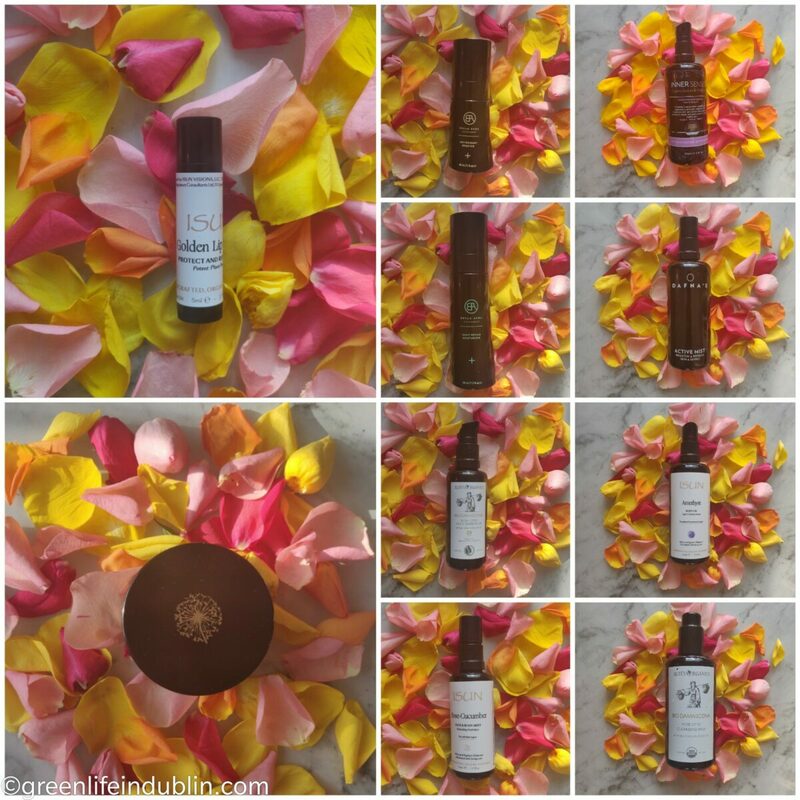 Heart Note: Rose Essential Oil Rose has astringent properties that make it perfect for toning and lifting the skin. It can also enhance libido and inspire romance. It helps alleviate feelings of shock and is believed to stimulate the hormone secretions that trigger menstruation and ease post-menopausal symptoms. Rose is often used to enhance feelings of wellbeing and to induce those feelings of positivity, joy, and hope. Base Note: Nutmeg Essential Oil Nutmeg has antibacterial properties that work against 25 different bacteria. Nutmeg oil is useful for treating muscular and joint pain and relieving menstrual cramps. This earthy aroma comforts the body, improves blood circulation, and helps reduce mood swings and depression. a little note – did you notice this product alone exceeds the value you pay for the box? Yup, you ALWAYS get at least triple the value, guaranteed in every box. Also, you are guaranteed to get at least two full size items, but they often have three or more. Sample sizes are almost always deluxe samples comparable to travel sizes, those teeny sachets are far and few in between. Umm, I’ll be honest with you here – I must have been suffering with blogger’s fatigue when I received this, because after trying it once and not being overly impressed by it, I gifted it to my friend at work after spotting Primark 1.50€ hand cream at her desk. I know, shock horror right? I immediately set it upon myself to fix that situation 🙂 I was thinking along those lines of “yes, we all need a good hand cream in winter, but I already have a firm favourite, so I don’t need this” I was also in the thick of testing for The Beauty Shortlist as I already mentioned, and I remember feeling overwhelmed by the amount of products – and I certainly thought I will not miss it. Until one day I was chatting with said friend and she started singing praises to this hand cream, saying it is the best hand cream she has ever used in her life! When I asked her to elaborate, she said that in a space of three days or so, her skin became soft as a velvet and she can’t stop touching her hands since and is finally looking forward to putting on a hand cream, a first in her life. So I was like “huh?” immediately and now I am asking myself have I written off a good product too soon? This got my curiosity piqued indeed, as well as giving me an idea for blog post “Love at a second sight” – all about the products that left me with lukewarm first impressions but ended up as my favourites after all. If you have this cream, I would love to know your thoughts about it? Oh, and before you ask, my favourite hand cream for the moment is Kiss The Moon Love Night Cream For Hands – I have already touched on it as one of my faves here, and will talk about it in my upcoming Winter Favourites very soon too. It made it into my 2018 Best Products list too. Now let’s see what products came in the International Beauty Box? I squealed with a delight when I saw these – you see, Walden’s A Different Drummer perfume shot straight to my Top Three Natural Perfumes since the day I got it! See the review of it here. Needless to say I am thrilled to get not only that but all of their fragrances in these mini roll ons, which not only look way cute, but are so handy to take with you anywhere, for travels or day to day bag. 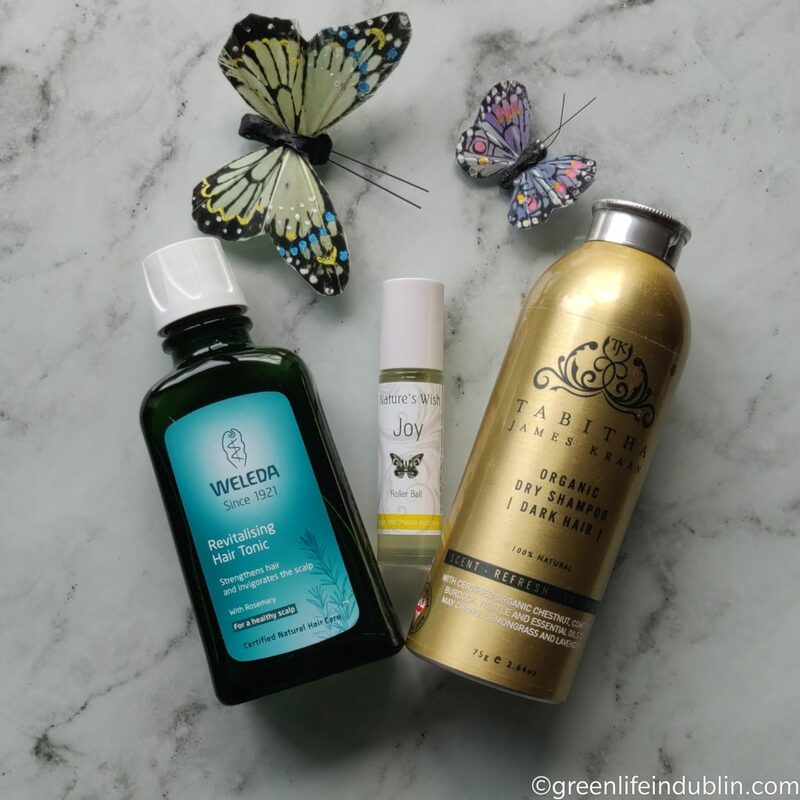 This is another product I was well chuffed to get – I added them to my wishlist as soon as they appeared in Love Lula, but soon noticed they contain peppermint oil in the ingredients. So with that my enthusiasm soon faded, as I am someone who can’t handle any peppermint on my body/ face/ scalp/ lips. That was a couple of months ago, and I soon forgot about that peppermint, so I added the lip balm on my lips, as you do, and guess what? Lo behold, it is not as noticeable as I thought it would be. Yes, there’s some tingling (and maybe plumping action) for a couple of minutes, but all I can feel is cinnamon, not peppermint, so I am very happy I can actually use this product. Now, all the peppermintiness aside, here are my thoughts about the product – I love everything about it, from the clean and short ingredients list, to the performance to even actual box it came in. You see, it came in such a luxe and sturdy cardboard box, that I even kept it, something I never do. It my seem pricy at first glance, but you are actually getting triple the product than standard, 15ml instead of usual 5. It actually lasts longer than most of the lip balms I have tried, which is one of the reasons I love it. 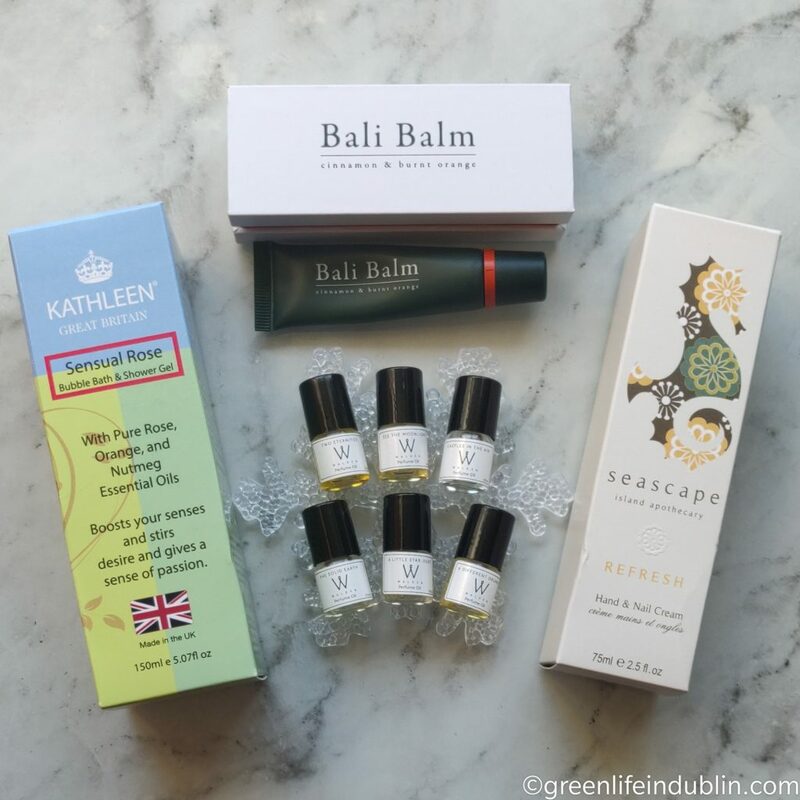 I wouldn’t hesitate to give it as a small present, really – it’s got a Green Life In Dublin Seal Of Approval. INGREDIENTS: Coconut Oil, Castor Seed Oil, Candelilla Wax, Kukui Nut Oil, Sugarcane Extract, Orange Peel Oil, Cinnamon Cassia Oil, Peppermint Leaf Oil, Rosemary Extract, Wheat Germ Oil, Vanilla Fruit Extract. So, as you can see, all in all it has really impressed me – all of the items are put to good use, well done Love Lula, you can pat yourselves on the back! I actually forgot the value of the box, but quick calculation, ok ok, quick mock order from Love Lula gave me the value of 63£, which works out at around 70€, which is very impressive given the price you pay for it. 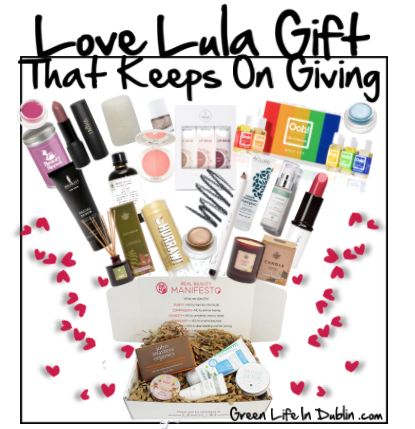 You are guaranteed to get at least two full sized items in each box, although Love Lula go far and beyond, including three or more more other than not. Those teeny sachets are far in between, I only remember a couple of them in around eighteen months, so very impressed with that. Sample sizes are almost always deluxe sample sizes, comparable to the travel ones – you are guaranteed to get a good feel of the product and decide whether it is for you or not. Are you interested yet? Check out here. So yes, here are my thoughts on the box. Let me tell you one secret thought – now you can get November Beauty Box for free if you spend 60£ on their website – fabulous or what? Let me also tell you they are now selling selection of their previous boxes for a very good prices (see here), but it is not on a constant basis, so make sure to check back often. If you want to, shop away at Love Lula, one of my favourite online shops! 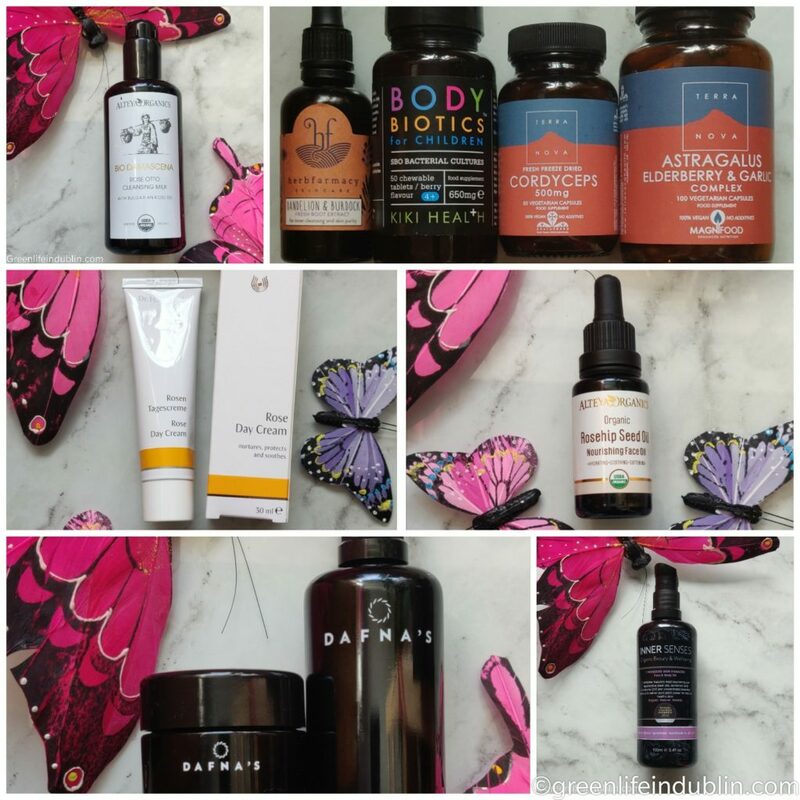 I’ve written over 50+ blog posts related to products found in this online shop, as well as their wonderful Beauty Box, that I love so much. In the case you missed it, find my Natural Beauty interview with a CEO Sonia White here and all the other posts in this Facebook album here. Too many blog posts to link up individually, let me tell you this much 🙂 See my top recommendations on “Bloggers Recommend” Love Lula page here and if you want to know my rather extensive wishlist, you can check out my Pinterest board here – I’ve been working on it for the last few days, and I am far from finished! Follow me there for all the updates – and let’s be friends all over social media, shall we? Please like and share my posts on social media, it really helps to get the green beauty word out – and you will forever have my gratitude! How are all of You? I hope 2019 is treating You well so far? Hope You are all well and enjoying various exciting activities leading up to Christmas? 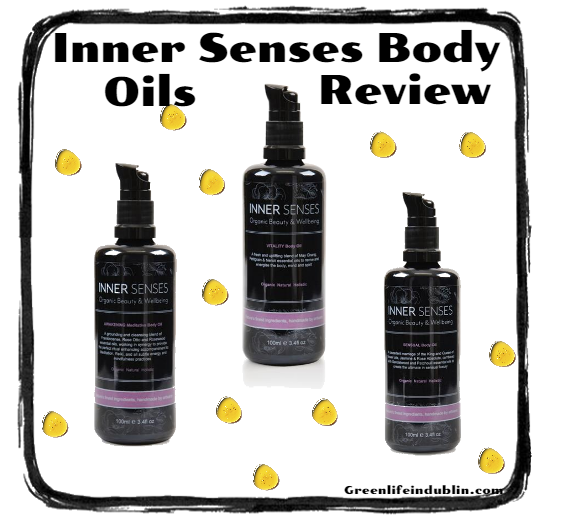 Today I am coming at you with a review of three body oils by a wonderful UK brand Inner Senses. They captured my attention since the very start of the launch some years ago, and they are still one of my favourite products to this date – mark my words to see them in my upcoming 2018 Best Products post.